GET A FREE DUCTLESS AIR CONDITIONING SYSTEM UPGRADE! Already have a ductless mini-split system? Enter to win a FREE extension! Just for entering, you’ll get a $500 coupon! Enter your information below for your chance to win a free extension to your ductless mini-split system, valued up to $5,000! If you are not our winner on May 2nd, you will still receive a $500 coupon to use toward the installation of an extension! 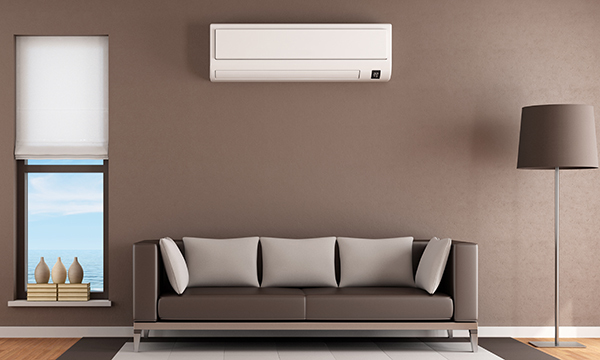 Terms and Conditions: Prize model is a single-room system wall mounted 12,000 BTU Ductless Mini-Split Heat Pump valued at $5,000. Offer includes normal installations of the indoor and outdoor units no more than 20 feet apart. A jurisdictional permit/inspection and an electrical circuit are required and are not included. The winner will be billed for these items separately. Electrical and plumbing must be up to code. If plumbing and electrical are not up to current building code, customer will incur the cost and be billed separately. No drywall or carpentry repairs are included. Entrant must own the home we service and reside within the SMO Energy service area. Renters are not eligible. Prize is non-transferable. If home is ineligible for the prize model installation because of competing unit or other unforeseeable cause, winner will receive a $5,000 credit toward a future HVAC Full System install to be installed by SMO Energy. Installation must take place on or before September 15, 2018 . Winning entrant agrees to participate in testimonial video and provide a written statement about the installation experience at the time of the installation. Contest entry ends April 30, 2018. SMO Energy performs HVAC installations and HVAC tune-up services in the following Maryland counties: Anne Arundel, Calvert, Charles, Prince George’s, and St. Mary’s. **$500 coupon expires August 31, 2018. Must purchase a full system and have equipment installed by SMO Energy. Must be 18 years or older at time of contest.